Amanda is an architecturally focused designer, teaching on the Diploma and Certificate courses, with an emphasis on exploring and explaining the practical reality of being a designer. She worked with architects Sheppard Robson and Conran & Partners on commercial, health, education and hotel projects before setting up Utility in 1999. 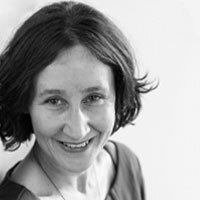 She has lived and worked in France, Australia and Chile, and now based in London combines independent practice with consultancy and teaching.